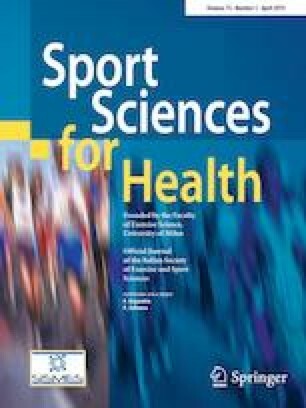 Considering the increase in the prevalence of overweight and obese adolescents, this study aimed to analyze the perception of physical competence in Brazilian adolescents of different nutritional status. A population-based cross-sectional study was performed and included 2.757 (15 ± 4 years-old) adolescent students (1.302 boys, 1.455 girls) from south of Brazil. Strength, flexibility, and aerobic endurance questions were used to evaluate the perception of physical competence. To evaluate nutritional status, body mass index (BMI) was used. The prevalence of overweight and obesity in adolescents was 21.2%, with 25.4% for boys and 17.5% for girls. Girls with lower perception of aerobic endurance were more likely to be overweight/obese. Boys with a poor perception of flexibility were about 10 times more likely to be overweight/obese. Adolescents with a weak and moderate perception of strength were less likely to be overweight/obese. We concluded that perception of physical competence differs depending on the nutritional status of adolescents. Lower perceptions of aerobic endurance and flexibility favor the development of overweight and obese adolescents. However, greater perception of strength competence mostly appears in overweight/obese adolescents. This study was supported by the Higher Education Personnel Improvement Coordination (CAPES), Public notice (no. 03/2015), through masters scholarship and the authors thank FAPESC (Research and Innovation Support Foundation of the State of Santa Catarina) for financial support through research (Project no. 2287/PAP 04/2014). Ethical approval was obtained from Santa Catarina State University (approval number 502.531).